PROPHETIC Healing and Deliverance Ministries founder, Prophet Walter Magaya launched a social media mobile application for the Yadah television partners and PHD members on New Year’s Eve at his Waterfalls base. The application LetsChat registered on Google is expected to link the man of cloth directly with all his partners and people across the globe. Addressing people during the Cross Over prayer meeting, Prophet Magaya emphasised the need to stay connected to members saying PHD is one of the fastest growing ministries in the world at the moment. “One of my favourite quotes is ‘If you are going to think anyway, Think Big’; this idea of thinking big is the one that has made me and the ministry what it is today,” said Prophet Magaya. “Being the fasted growing ministry in the world right now, I have had to keep in constant communication with over 1800 ministry workers and over 500 000 of my children daily. “The common apps like WhatsApp and Facebook have failed to get them closer to me and I have decided to think big and created LetsChat and more people will become part of it. “I want to talk to my children every day and not only wait for service days since many things are moving like Yadah Connect, the Marble Factory, mining, housing like Wonerland in Westgate and in Bulawayo. “People do not know how much progress we have made together as a ministry and 2018 must be different and I have therefore created LetsChat to start giving you more information, teachings and testimonies. “We have made good progress by establishing satellite stations in all the countries where our children are and they have responded well. “I have always said distance is not a barrier and LetsChat is here to break all those barriers and those under my voice’s stories are going to change,” said Prophet Magaya. Prophet Magaya declared 2018 as a year of ‘Good Open Gates’ and led the congregation in lighting candles to thousands of people from various countries who attended the Cross Over Night prayer. Year 2017 was under the theme ‘Shifting to higher levels’. 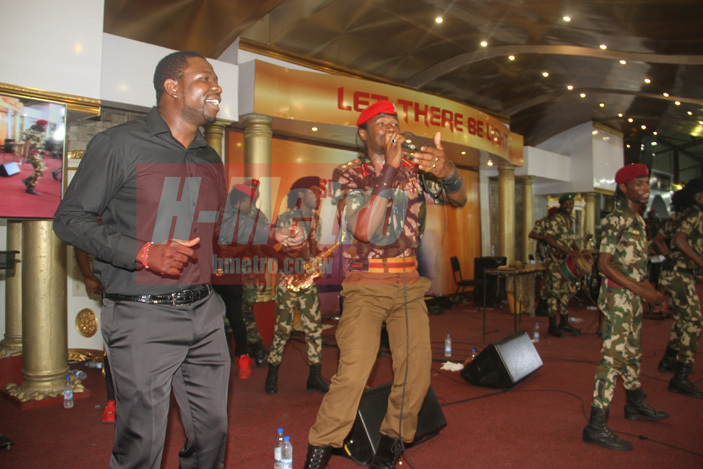 Musician Jah Prayzah real name Mukudzei Mukombe provided entertainment with the song Kutonga Kwaro proving popular. Prophet Magaya described 2017 as a good year thanking his prayer partners among other things in connecting him with the Royal Kingdom of Swaziland, Angolan Generals, Zambia and in being conferred an honorary doctorate degree in Entrepreneurship from University of South Africa (UNISA).